Turkey farmers hope to see a repeat of last year’s strong sales as consumers continue Christmas dinner traditions. Sales seem to have been going well this year, with a push from farming unions to visit local farms to purchase a turkey rather than the supermarket. It came after NFU Cymru figures showed more than half of consumers did not know if any of the produce making up their 2016 Christmas meal was Welsh. The public was moving back towards buying a full bird, driven by retailers’ advertising campaigns. Mike Bailey, turkey farmer and NFU poultry board member from Knutsford, Cheshire, said last year they had found they had slightly too many bigger birds, so had produced a few more 12lb birds this year. 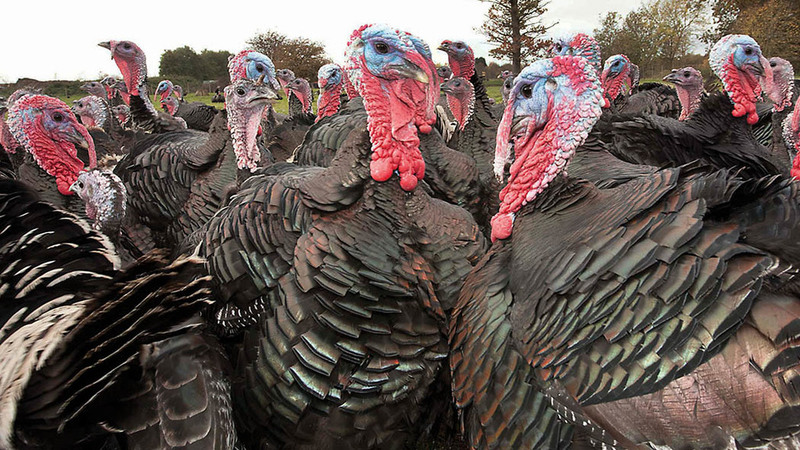 Susannah Pate, a turkey farmer near Dundee, said seven years ago, people were buying bigger birds. She said: “They tended to be part of their Christmas celebration. We have seen a trend to having a smaller bird just for the day. She said buying from local farms helped people make a connection with where food comes from, with word of mouth a big driver of sales. “We try and make it really festive, by dressing up our shed. We have a local vegetable farm which comes up. Mr Bailey agreed it was about giving a family a positive experience and making a visit to the farm part of a Christmas tradition, with turkeys a valuable source of income for family farms. And with planning for next Christmas starting as early as February, sales this year had a big influence on plans for the next festive period. Shortages of seasonal labour has been a concern for larger producers, but Mr Bailey highlighted for smaller farms, which tended to employ the same people each year, losing just one or two workers could cause major problems. Previous Article UK and EU Brexit divorce deal: What does it mean for farmers?